PlentyInside Plenty’s first farm in South San Francisco, California. Vertical farming startup Plenty — which has raised $US260 million to date — is opening a 100,000-square-foot farm in the greater Seattle, Washington area. 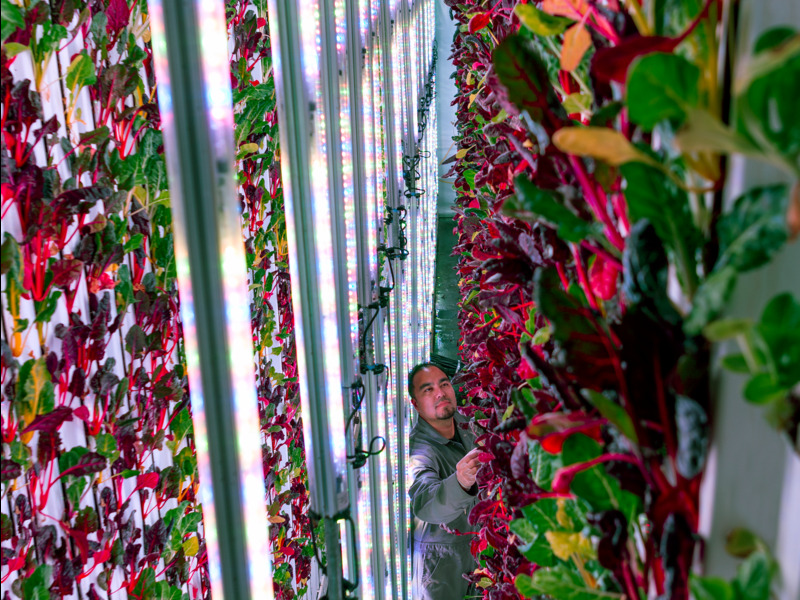 The company, which grows fruits and veggies under LEDs and without soil, hopes to sell its organic produce for the same price as traditional produce. Plenty plans to drive down operational costs by automating its growing processes as much as possible. Following a $US200 million investment this summer — the largest agriculture-tech funding round in history — vertical farming startup Plenty is expanding beyond its Bay Area roots. The technique is called indoor vertical farming. It’s a type of agriculture in which food grows on trays or hanging modules in a climate-controlled, indoor facility. The process allows certain types of produce to be grown year-round in small spaces. Plenty’s farm will be nearly twice the size as its original one in California. The company also has a smaller non-production facility in Wyoming, where it has tested different growing processes for over 300 crops. The new Seattle-based farm will grow leafy greens and herbs first, but will later expand to fruits, including strawberries, tomatoes, and watermelons. Barnard said that Plenty’s strawberries will be smaller, less pulpy, and higher in sugar and acidity levels than the ones most consumers are used to. To date, Plenty has raised $US226 million. In July, $US200 million came from a Series B funding round led by SoftBank Vision. The round included DCM Ventures as well as funds that invest on behalf of Alphabet’s Eric Schmidt and Amazon’s Jeff Bezos. Plenty is working toward that goal by automating its farm processes “as much as possible,” Barnard said. For example, the company uses small robots, called the Schleppers, to transplant seedlings.